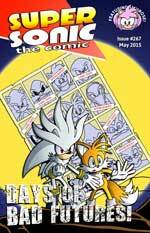 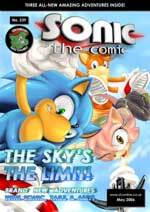 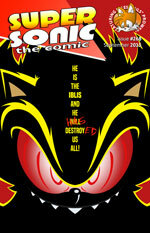 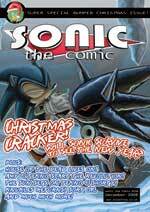 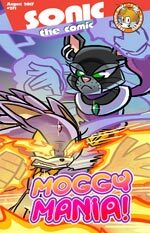 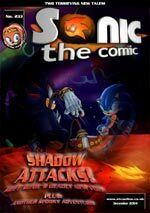 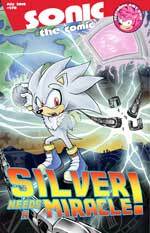 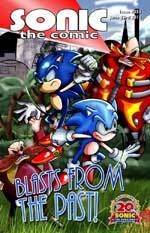 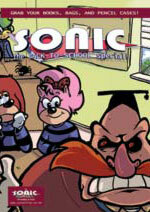 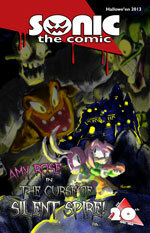 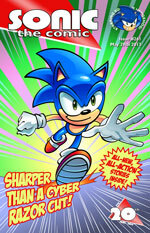 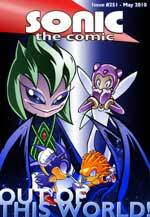 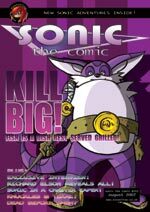 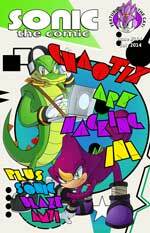 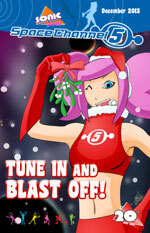 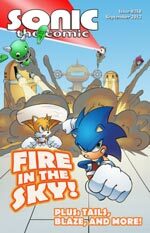 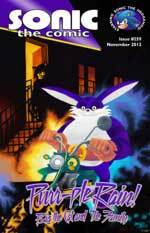 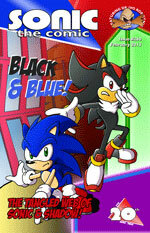 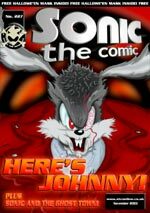 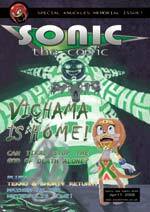 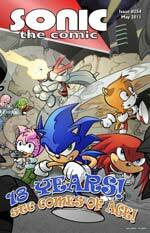 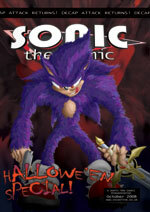 Sonic the Comic Online! 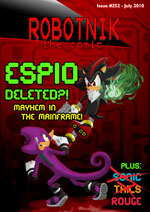 | Sharper than a Cyber-Razor Cut! 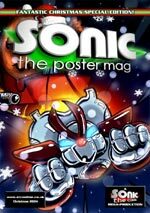 Read through all our previous releases and catch up on what you’ve missed! 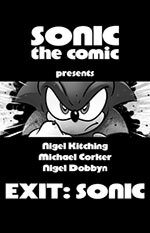 Completely new to Sonic the Comic? 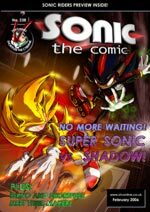 Visit our summary of STC before the Online part! 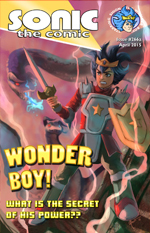 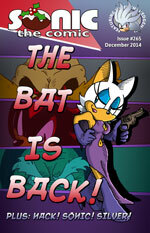 CURRENT ISSUE: Issue #276 – Click the cover below to read it! 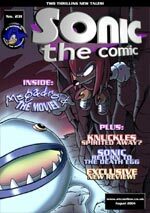 All our previous issues from May 2003 onwards are listed below, from newest to oldest. 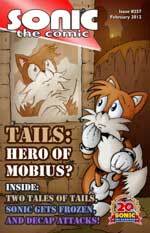 You can use the drop-down menu below to pick a character or series to find issues featuring your selection! 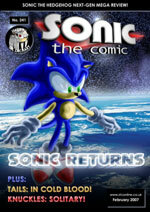 Sonic the Comic WILL RETURN! 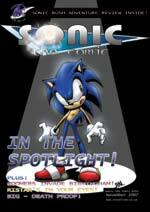 View our back issues in their original* format! 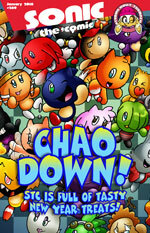 *These also include all original features and wallpapers that may not have been included in the upgraded versions. 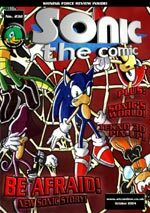 What was your favourite issue? 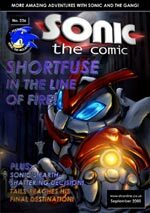 What do you want to see happen in future issues? 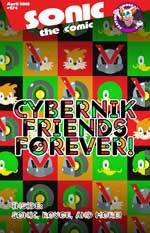 Abby Bulmer, Adam ”T-Bird” Tuff , Alan McKenzie, Alex Willmore, Andy Diggle, Andy Pritchett, Annie Parkhouse, Anthony Williams, Audrey Wong, A.W. 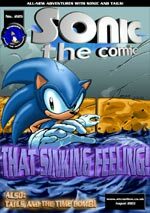 Pitt, Bakasam, Bambos Georgiou, Barrie Tomlinson, Black Dog Brew, Bojan Djukac, Brian Williamson, Caleb Barnes, Carl Flint, Casanovas, Charles Ellis, Charles Wrigley, Chris Gould, Chris Read, Chris Read, Chris Webster, Claire Ryan, Cliff Robinson, Collin Shelbourn, Dane “Blueike” Eichinger, Darren Stephens, Dave Hunt, Dave Windett, David Bulmer, David Gibbon, Dawn Best, Deborah Tate, Dermot Power, Dondie Cox, Drew Middlemas, DragonSteinCole, Ed Hillyer, Ed Reynolds, Elitta Fell, Ellie de Ville, Elson Wong, Ernest Panda, Fast Ashadonic, Ferran Rodriguez, Gary Andrews, Gina Hart, Gordon Robson, Hannahdouken, Iain “Retro” Stewart, ‘Infamatt’ Fewer, Insector, J.”Deebs” Jones, James “Darknoise” Kennedy, Jamie Botham, Jamie J, Jason McEvoy, Jean-François “Adamis” Thébé, Jim Alexander, Jin Chan Yum Wai, JJ Maudsley, John Aldrich, John Moore, John Swidan, John Taylor, John M Burns, Jon Gray, Jon Haward, Jon Lock, Kate Hayward, Kayleigh Walpole, Keith Page, Kev Hopgood, Kevin M, Kim Sato, L. T. Fletcher-Copeman, Lauren Willmore, Leeann Hamilton, Lew Stringer, Lisa Lee, Lynne Gibbs, Marc Watson, Marcus Stockley, Mark Eyles, Mark Millar, Mark “Sonicmark” Hughes, Martin Griﬃths, Matt Dittmer, Matt Harris, Matthew Bramble, Mauro “The KKM” Fonseca, Michael Cook, Michael Corker, Michael “Stiv” Stephenson, Mick McMahon, Mike Hadley, Mike White, Miles Arquio, Modochi, Nadine Wilkinson, Natasha “Calisto” Warmington, Neil Bryant, Neil C. Tamstone, Nick Abadzis, Nigel Dobbyn, Nigel Kitching, Orin, Paul Chamberlain, Paul Shubrook, Pete Murphy, Peter Richardson, Philip Chapman, Rebecca Gunn, Reggie “Ziggyﬁn” Graham, Rhys ap Gwyn, Rich Morgan, Richard Bird, Richard Burton, Richard Elson, Richard Guildford, Richard Rayner, Rik Mack, Rob Stevens, Rob “The Rascal” Garrett, Robert Frazer, Roberto Corona, Seumidh MacDonald, Shadic, Shaz, Shimsham, Shira, Spark, Stephen Baskerville, Stephen Bliss, Stephen “Spydaman” Davis, Steve Cook, Steve MacManus, Steve Potter, Steve Saywood, Steve White, Stuart Clack, Team Mobius, Thalia Evans, Tim Bollard, Timothy Marx, Timothy Read, Tom Campbell, Tom Frame, Tom Huxley, Una Fricka, Woodrow Phoenix, Yunelyon, Zak Simmonds-Hurn. 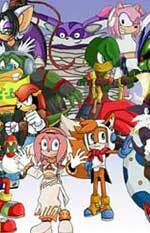 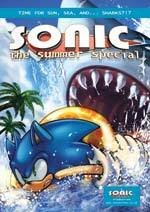 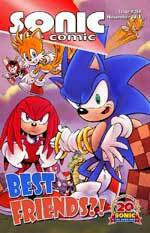 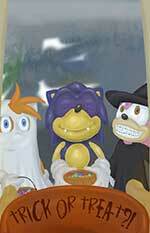 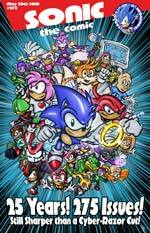 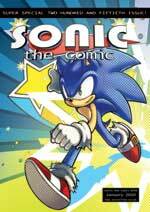 Sonic the Comic is copyright © Egmont Magazines Ltd. Sonic the Hedgehog and all related characters © SEGA. 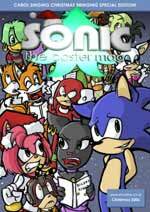 Other characters belong to their creators. 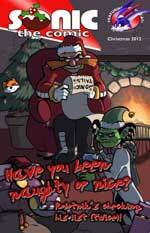 Used without permission. 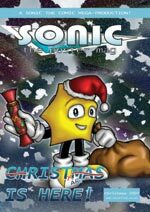 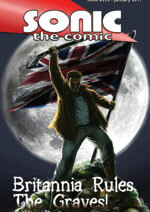 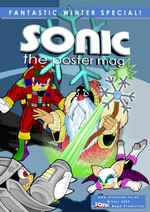 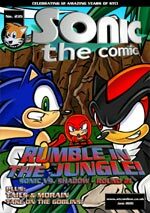 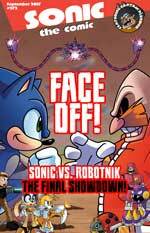 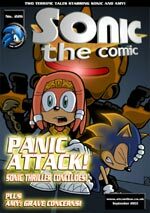 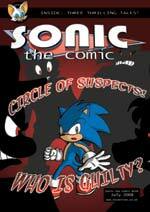 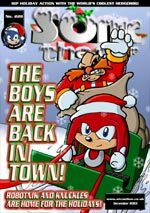 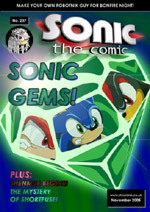 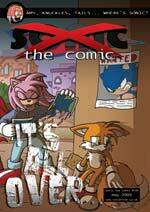 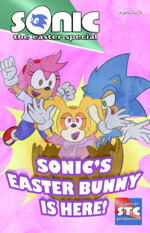 Published by the Sonic the Comic online team. 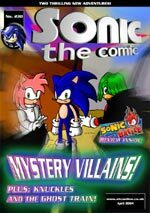 This comic is only available on the internet. 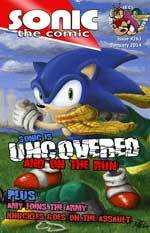 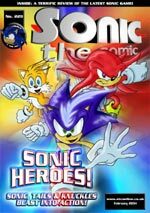 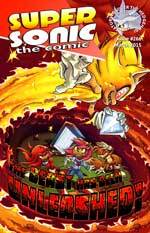 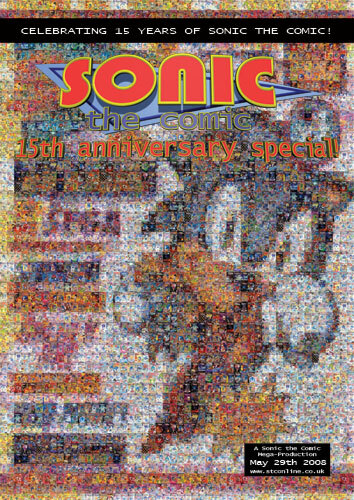 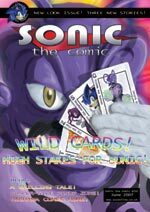 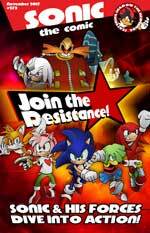 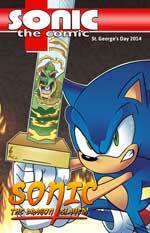 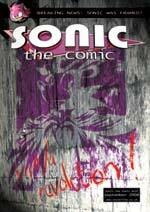 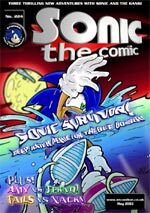 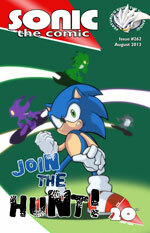 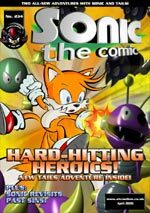 Sonic the Comic has been published as a not-for-profit venture since 2003.